A beautiful rose gold side tiara adorned with crystal and pearl accents for the most romantic wedding style. Beautiful and romantic, our Heirloom of Rose Gold Side Tiara features an exquisite bouquet adornment. Encrusted with the timeless crystal and pearl duo, this pretty headpiece is given a modern touch by feminine hues of rose gold. 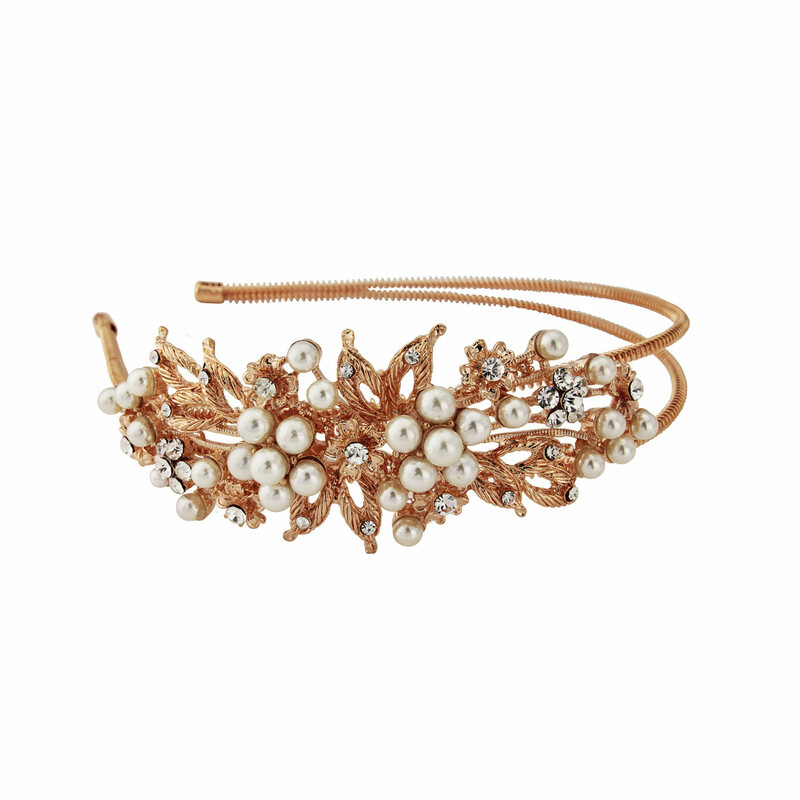 A stunning side tiara for brides wearing a divine vintage style blush gown or to enhance an on-trend metallic copper wedding theme, it features adjustable double row headband to ensure this piece is perfect for every special day hairstyle. From short hair to long waves, this floral hair accessory will add a touch of romance to your aisle style. Beyond the big day, this rose gold and pearl side tiara will adorn your party hair with classic glamour for every occasion. From a glitzy ball to the races, just team Heirloom of Rose Gold with a pair of blush metallic earrings for a look worthy of a modern day Starlet.